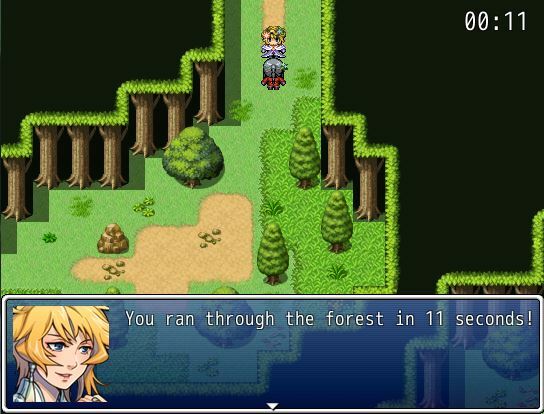 By default, the RPG Maker’s timer counts down. You can set when the timer will begin, and it will count down from there. Once it hits zero, the timer will automatically stop. This script allows you to change the timer to count up instead of counting down! Instead of setting when the timer will begin, you set when the timer will end, and the timer will count from 0 up to the time you set. In the first page of the event commands, you can set the timer using the Control Timer command. To have it count up from 0 to the time you have set.